Visiting the DMV can take a large chunk out of your day, depending on when you visit. If you plan your visit around the best time of day, you may find the process to be fairly quick and painless. The team at Car-Registration.org recommends learning about the best times to visit the DMV to expedite your experience. To learn more information about scheduling DMV appointments including what you need to bring when you visit the DMV, read the information below. When planning to visit the DMV, the first thing to consider is the time of month. Since so many people require renewals and other DMV services by the first day of a new month, there is so much foot traffic both at the end of a month and during the first few days of the new month. The best time to visit the DMV is in the middle of the month when fewer drivers require services. Next, consider the days of the week. The best days of the week to visit the DMV are Tuesdays, Wednesdays and Thursdays (midweek). The reasoning behind this is because so many people plan to start the new week by taking care of items on their to-do lists. Furthermore, by the end of the week, procrastinators are rushing to get things done that they forgot about. Monday and Fridays are also busy days at local DMVs since many employees prefer not to interrupt the workweek. Try not to visit the DMV the day before or the day after a holiday, because there will be overflow since the office will be closed. Finally and most importantly, the experts at Car-Registration.org suggest taking strongly into consideration the best time of day to visit the DMV. We suggest going in the morning, any time before noon. The lunch rush will prove to be the busiest time of day at the DMV since many visitors use their lunch breaks from work to head to the DMV. If you can make it to the DMV in the morning, you will beat the lunch rush. In addition, morning visitors have the luxury of bypassing the day’s buildup. Long wait times are abundant toward the end of the day, especially because everyone is trying to get in line before close. If you live in a state where the DMV offers appointment services ahead of time, the team at Car-Registration.org recommends employing this convenient tool in the interest of time. 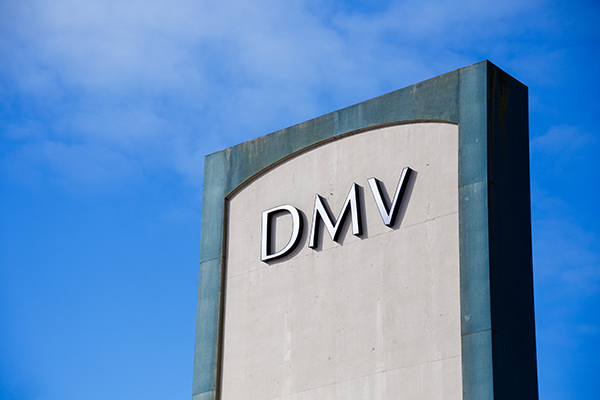 Many DMVs now offer online appointment scheduling. If not, check to see if the local DMV takes appointments by phone. Making an appointment can save you an exceptional amount of time that you would otherwise spend waiting in line. What should I bring to the DMV? Before visiting the DMV, the experts at Car-Registration.org suggest doing some research surrounding your required service. For instance, if you need to renew your driver’s license, be sure to prepare proof of identity, proof of state residency and any other required documentation. If you plan to file a name change or an address change on your credentials, bring proof of these instances. It is also a good idea to review your DMV’s accepted payment options, so you arrive with a suitable method. If your DMV does not accept cash, find out if you can use cash to pay for a money order prior to visiting. While many DMVs accept credit cards, confirm accepted credit card type such as MasterCard or Visa.